Hi. My name is Jessica Olin, and I'm a zoo-aholic. I love zoos so much that I can (and regularly do) visit them alone. I've only lived in this area since the end of January, but I've already been to two different zoos. And before you start talking about how sad it is to see animals in cages, I agree. I especially have a hard time watching cheetahs pace back and forth. 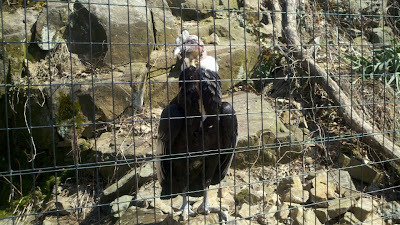 However, zoos really are helping preserve and bring back endangered species, so I still see them as a good thing. Here are some of my favorite pictures I've taken at zoos. I love it when they pose so prettily for me. This giant otter is at the Philadelphia Zoo. Andean condors look like society matrons to me, with their ruffed collars. 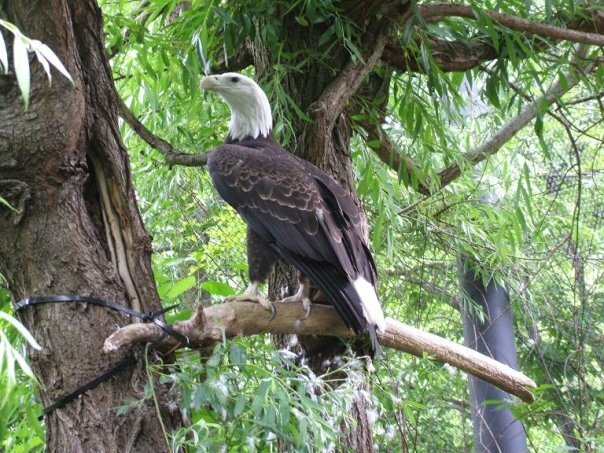 This fellow lives at the Brandywine Zoo in Wilmington, Delaware. 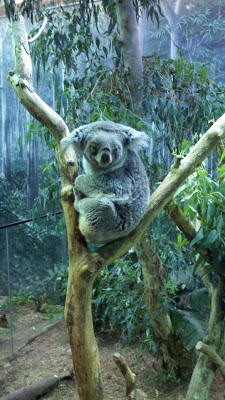 This koala looked very Yoda to me. She lives at the Cleveland Metroparks Zoo. Okay, so this is another from the Cleveland Metroparks Zoo, but s/he posed so prettily I couldn't not share this bald eagle. How about you all? Any other zoo lovers out there? What's your favorite animal to visit? And what's your favorite zoo? YES! I keep telling people, there's nothing weird about going to the zoo by yourself. I especially love going in winter when it's just snowing lightly. Almost nobody is there, but you'd be amazed at how many animals are still out. I go regularly to the Milwaukee zoo and have also been to the San Diego zoo and to a couple zoos in Chicago. (and Texas when I was a kid). Seeing the cheetahs makes me sad too and I refuse to look at any monkeys or apes (they make me uncomfortable, but I love the bears and sea lions. One thing I do re. animals is when I hire animal "performers" for the library, I always make sure they have a valid reason for having exotic animals - rehabilitation, education, etc. not just entertainment. I'm hoping to make it to the San Diego Zoo this summer. I've wanted to go for a while, but haven't found any time to make the trip. I don't have any favorite animals, they're all awesome. It's expensive, but worth it! I was disappointed by the panda, but they had TWO kinds of hyenas. TWO. I was in hyena-heaven. I'm a zoo-aholic as well! (My original career path was working with animals.) 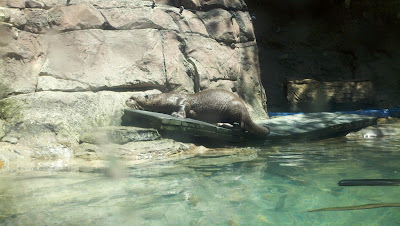 I just went to the San Diego zoo, and it was amazing. Besides hyenas, they have capybaras!